Sevilla made Monchi an offer he could not refuse when they asked him to come back to the Ramon Sanchez Pizjuan as sporting director. 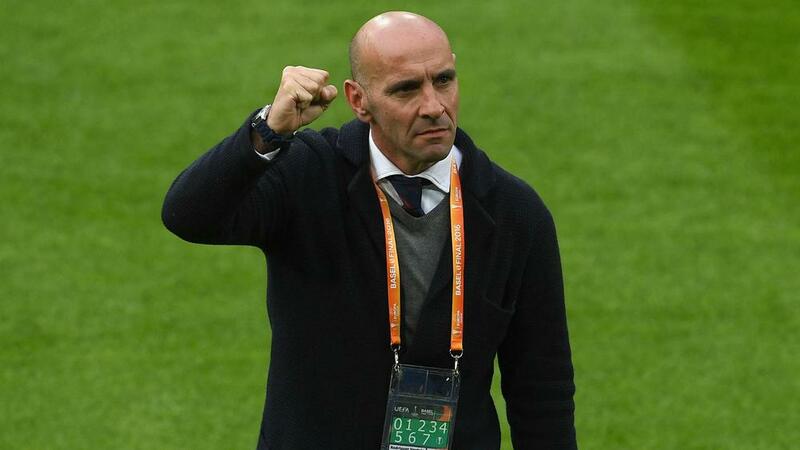 The five-time Europa League winners announced Monchi's return on Sunday, with the former goalkeeper returning to a post he left in 2017 to join Roma. However, he stood down in the aftermath of the Serie A side's Champions League last-16 defeat to Porto – a loss that also saw head coach Eusebio Di Francesco sacked. "There are many people outside of Sevilla who have told me that I am wrong in the decision. They remind me that second times are never as good," he told a news conference on Monday, before invoking Francis Ford Coppola's mafia epic as an argument to the contrary. "But I know all that, I have evaluated it and I have decided to be here. We're going to think that the second part is better than the first - Godfather II was better than Godfather I. "After spending two years out of Sevilla at a big club, I have learned, grown professionally, and I have the right and the duty to reinvest that personal growth in the club I want to be with." "It's an indefinite contract, with no definite duration," he said. "The last time I spent 18 years. "I do not know if another 18 years will be possible but I have the illusion of being here as long as possible, growing and being able to elbow with the elite to be in the places to fight the important things." He added: "Sevilla is a club that has already installed itself in the elite and the target has to be ambitious. Impossible is nothing. The ceiling of Sevilla does not have to be close yet. "Today there is a much bigger equality in Spanish football but I aspire to hit another jump, to keep growing and to make differences again - knowing that it is not easy, but there is still room for growth and to produce results at a sporting and economic level to be close to success. "Promising titles is not my style, but Sevilla will grow in all aspects."